Make sure your shuttles have fixed mounting for their wireless devices. Driving a motor vehicle while holding and operating a handheld wireless telephone or a wireless electronic communications device will be prohibited, unless the device is mounted on a vehicle’s windshield or is mounted/affixed to a vehicle’s dashboard or center console in a manner that does not hinder the driver’s view of the road. The driver’s hand may only be used to activate or deactivate a feature or function on the device with the motion of a single swipe or tap of the driver’s finger, but not while holding it. The law does not apply to manufacturer-installed systems that are embedded in a vehicle. Quick Ride displays the rides in the most logical order using a sophisticated algorithm, but there are times when one passenger must get dropped off before the other and Quick Ride understands this – the Driver has the discretion to decide which passenger gets to be picked-up or dropped off first. We have a superb navigation system that factor in changes in driving direction and reroutes in a couple of seconds to provide drivers with the best routes to take. 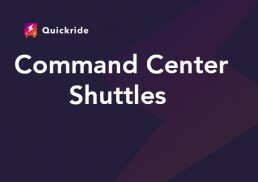 Onboarding passengers: Advisors have the ability to switch passengers from one shuttle to the next and/or set a later time and date for the shuttle in the future from the command center. Shuttle Drivers and Advisors must use the system – Shuttle Drivers should not take or shuttle anyone without being in the system – a process is only as good as the people following it. Follow the process it works. 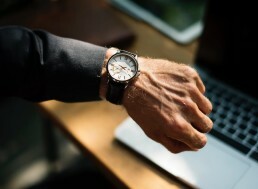 If for any reason the app freezes – remember this is software and there are many things that affect software – don’t panic – close the app – re-start the phone – restart the app – and take care of clients. Most the time it’s what we have running in the background (like other apps and or games). that also affects the mobile phone’s performance. Once your Advisor or Shuttle Dispatcher have created a ride your client will receive a (do not reply) text message informing them they have requested a ride and giving them a link to request a ride back. Provide a simple explanation to Passengers how to request a ride using the web link. When the shuttle driver initiates ride – another text will automatically go out to the client advising them the shuttle is in route. If you cancel a ride the client will also get automated text advising them of the cancelation. Creating a ride request and canceling the ride will prompt the system to send out the mandatory SMS messages to customers. In case they do not want to receive these messages they can reply STOP in any of the messages. For Dealers with more than 1 shuttle, rides are distributed based on shuttle location, the number of passengers and number of rides made. In case the Shuttle Dispatcher feels that the ride has been incorrectly assigned, you can always manually reassign the ride in the command center.